The facts are here … since mainstream media is so quiet! Take a look and learn the facts. Get your own education …… SMH!! Thank you for writing and sharing this post. I found it very educational and factual. I’m sharing with “friends” who think these nuts are defending their basic rights. The truth need be told!! Thanks for the history and being candid. I totally agree that this is a dangerous group, and they are playing to other hate-groups that have, since 2008, wanted a civil war in this country to destroy the federal government. “He came to believe that “in most states you have the lawful authority to kill a police officer that is unlawfully trying to arrest you.” Is that only if you are an armed white male? I want these criminal trespassers to be arrested and to serve time with a minimal amount of fanfare and media coverage. This tine they will be sojourning in a region which is spartan and forlorn. I wan’t no press conferences by law enforcement. This is a great place to wait these peoples out until they leave on their own accord and then arrest time with no option for bail. What I do not want to ever see, would be these wannabes being memorialized in an event like the 1985 Philadelphia fires, Ruby Ridge in 1992 and WACO in 1993. .
Didn’t think the President could call the Nat Guard, only the Govenor of a state can do that. For state emergencies the Governor does, but the President can do it. Eisenhower did it in the 1950s to enforce court ordered desegregation and civil rights laws when the state wouldn’t. My initial reaction is to want a confrontation that brings all of the extremists out of the woodwork. Give them the opportunity to declare themselves and to act against the people of the US and then make an example of them. The authorities backed down in 2014 and what did it accomplish? Some are concerned that we will make them martyrs. Will martyrdom create more delusional extremists out of normal citizens? Not likely. Only people who are similarly delusional will care and they exist already. But as I ponder further the potential response of such actions my more reasoned response is for the government to establish the rule of law by all legal means to include force. Whoa! Never read a writing from you that revealed your ‘anger’! You do make a good point that these guys are not Patriots. These people are frustrated but barking at wrong entity. Their fight if it’s about their cattle ranching rights should be with big Corporations & Dept of Agriculture who have control over the profit making system of selling & buying beef. It’s the ECONOMY that’s frustrating ppl. Very well said. Thanks for the great facts. These men are not patriots: I’d suspect that most are not veterans, nor successful veterans at that. They are indeed dangerous, as they think they have a God-given right to run rough-shod over whole communities. 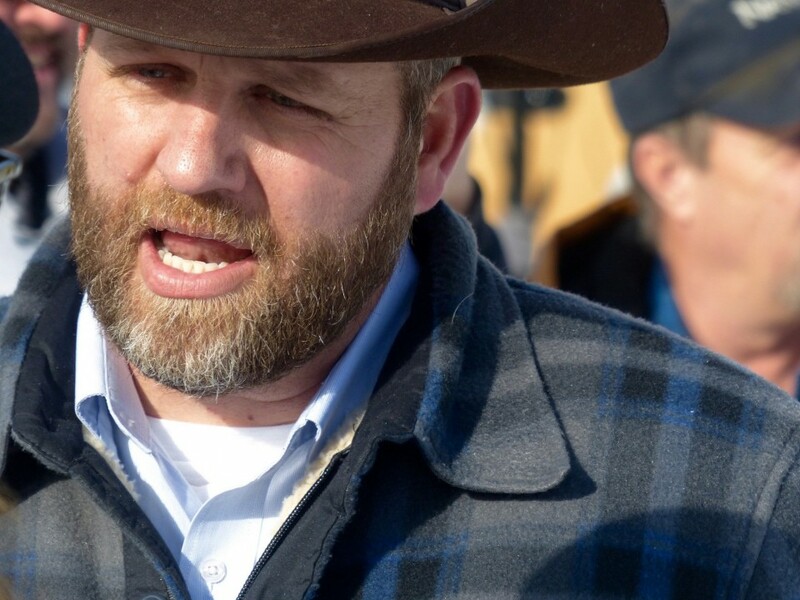 They are appalling liars–and they- especially the Bundy famiiy members- hypocrites and thieves. I agree with you sir. These people as dangerous. I favor a stronger response, but I imagine that the President and the administration are hoping not to have to do anything in order to ensure it does not hurt the Democratic nominee or the House races in the gerrymandered districts and in the Senate. They should cut those people off from all support and force them to leave, hopefully without violence. But, sadly I think the Bundys will force the issue. The article is historically founded, and is very, very good. It seems according to this lady, that prior to TR saving that dilapidated and spoiled by non-ethical hunters, it had been owned by a California cattle ranch which had forced out smaller ranchers and farmers and then destroyed the ecosystem to the point where it was a dying area, full of erosion, dead marshes and nearly devoid of wild life.The U.S. Government saved by purchasing and protecting it. 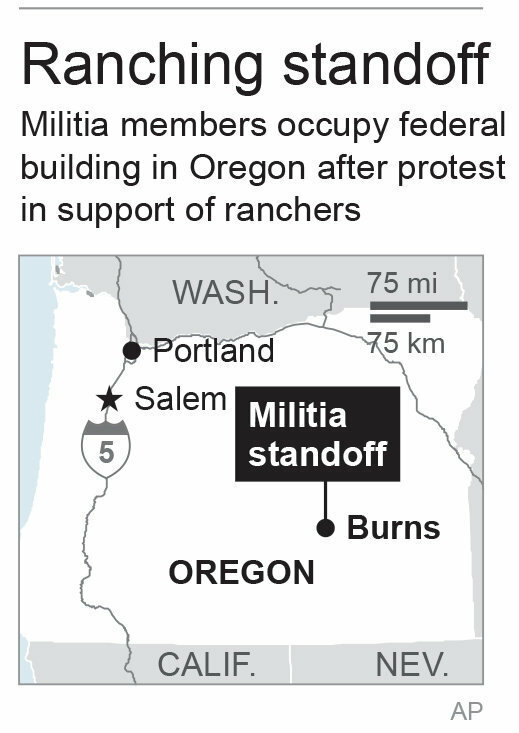 Geting protected status, made recovery possible, and it has been run since by the BLM AND the citizens of that county, and its inhabitants, which explains pretty well why the current residents want these folks to go home! Note: Margie Matrinez makes a point the authoress made as well. I saw the article. The Bundys and the others playing this game have not a leg to stand on. Did you see their claim that the Native Americans had forfeited their right to the land? I is amazing, they have no claim to anything but strut around like they are patriots when they are nothing more than low life criminals. Thanks for such an accurate and succinct description. That crew was out today, trying to get other ranchers to tear up their contracts with the BLM. I do believe, as you pointed out several days ago, that that that is at least sedition. Funny how these ‘law and order’ guys always demand maximum punishments….except when they are the guilty parties… Padre, didn’t Jesus Christ, the Righteous (as the Episcopalians call Him) have something to say about actions such as this?